Every advance in technology can seem like a two-edged sword: For the young and tech-adept, it’s like a Christmas stocking, full of new and exciting possibilities. For the older generation, it can often seem like a big virtual lump of coal. Although mobile technology isn’t new by modern standards, each improvement can seem light-years ahead of the last. One of the most common frustrations for the ‘mobile-unfriendly’ crowd is battery life. While it may seem simple, even amusing to the younger generation, it could have serious consequences for the elderly in an emergency. Here are the five biggest culprits – and what to do about them. Disclaimer: keep in mind that the terminology used below may vary among phone manufacturers. There is a setting on your phone called Timeout or Auto-Lock, usually under Display Settings, that determines how long the phone stays “lit up” after you lay it down (assuming you don’t turn it off on purpose). Decreasing this time will do wonders for battery life. If you check email or use Facebook frequently, chances are pretty good you’re using your phone much more than you think. According to an NBC report, the average Facebook user checks their account 14 times per day. And that was in 2013! Imagine laying your phone down 14 times a day without turning off the display. Decreasing the setting from 10 minute to one minute would save over two hours of battery every day. Your phone’s brightness is another greedy, power-grabbing monster. Unless you need full brightness to have enough contrast to read, try adjusting the brightness down to where it’s good enough, but still not an eye strain. Think of it like a light bulb on a dimmer switch. All smartphones have one, and yours could be acting like a little Dennis the Menace, mocking you every time you lose power. 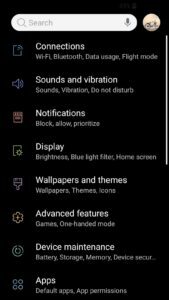 Another component of brightness is the Theme settings on many mobile devices. Some have darker backgrounds than others, and that’s what to look for. Any Theme settings that have more white or light colors will use more power, while darker colors use much less. Remember taking the gullible kid Snipe hunting when you were young? If you happen to be younger and reading this, a Snipe is a fictitious animal, and Snipe hunting is a practical joke. If you get invited, don’t go. It’s kind of like cow-tipping, only more fun and much safer. Snipes don’t weigh much. While you may not be sure exactly what a BlueTooth is, these two settings, if turned on, are constantly on the hunt for a signal from another gadget, trying to connect. Just like the elusive Snipe – whether it’s there or not, your phone’s going hunting. If you don’t know what those settings are, or you aren’t using them, turn them off. Do you use Facebook? Or – if you like the trend of turning nouns into verbs when they aren’t – Do you Facebook? Believe it or not, the Facebook App is a major power-hog. Simply deleting the app from your phone will give your battery a big boost if you’re a heavy user. Now, don’t get excited. You don’t need to break up with your friends. You can still use Facebook. Just use it from your internet browser instead. You can bookmark your Facebook home page and even save it to your home screen so it looks like an app – and you can still get notifications from your friends. They will Like you for it. You’ve heard the expression: Power corrupts; Absolute power corrupts absolutely. It’s no different with your phone. Try switching to Low Power mode, sometimes called Power-Saving mode. This nifty little feature is like a guard dog – it does nothing until it’s needed – then it springs into action. When your battery reaches a certain level, usually around 20%, this mode shuts off non-essential features that may be draining your battery. Even better, you can go to Settings and tell it when it should activate, like 25% or 10%. It’s like being able to program your guard dog to bark only when you want – instead of every passing car and cat. Of course, there are many other ways to increase battery life, but the biggest bang for your buck will come from these most common energy thieves. 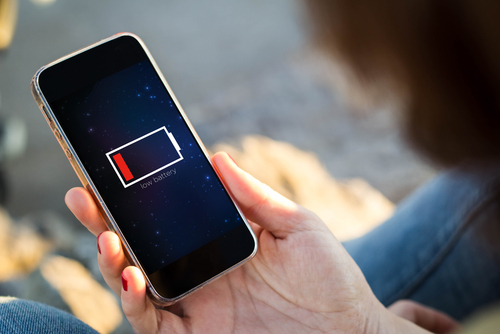 Before we part, there’s one last thing: As trivial as it may seem to be concerned about battery life, remember that in an emergency situation, your phone could be your only lifeline. If you can’t figure out how to change your phone’s settings, don’t be ashamed to ask a young whippersnapper for some help. They’ll be happy to show you how smart they are. Do you recall the expression: Pride goeth before the fall? Don’t be too proud to ask for help. If you want to get crazy-obsessed with battery life, go here. Or here.